"That's right," Socrates continued. 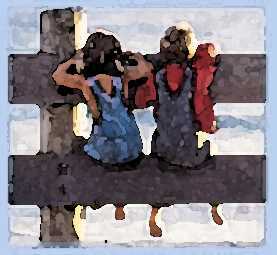 "Before you talk to me about my friend, it might be a good idea to take a moment and filter what you're going to say. That's why I call it the triple filter test. The first filter is Truth. Have you made absolutely sure that what you are about to tell me is true?" This is why Socrates was a great philosopher & held in such high esteem. If we are able to protect our friends and those we love in this manner, we cannot be influenced by outsiders in having bad notions about them.